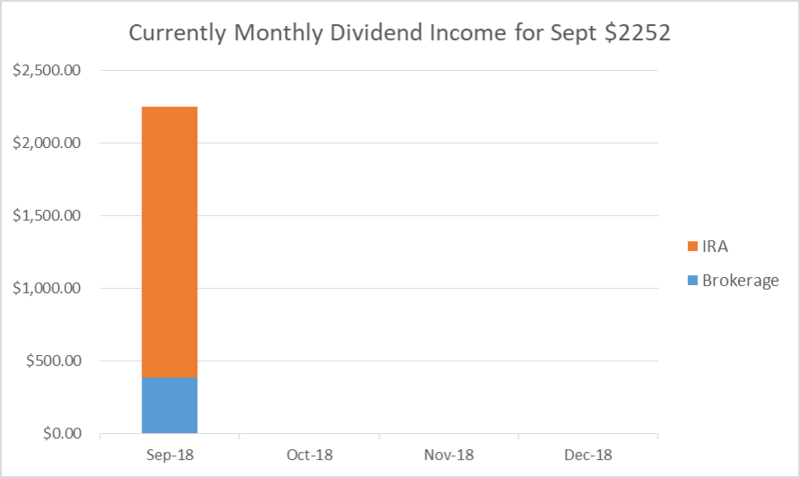 After 31 years of clocking in and out of work and religiously saving 10% annually every year, in good times and bad, I have decided to share my monthly dividend income to show what regular saving and investing can accomplish. This Month I made $2252 with 83% coming from my IRA and 17% coming from my traditional brokerage account. Most of the income is currently coming from a retirement account as the bulk of my savings were generated through workplace retirement savings that I recently rolled into an IRA and went full throttle income investing. When I first started saving in 1987 there was no mass concept of F.I.R.E. 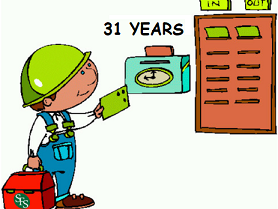 (financial independence retire early). I never had a big salary or did the proverbial “balls to the wall” extreme savings and investing. The only thing I knew was that I wanted to retire at 60 and the initial advice I got was to sock away 10% and retirement would take care of itself so that is what I did and here are the results. I am still working today and have started to contribute to a new workplace 401K plan and will continue to do so for the next 9 ½ years so this adventure is still continuing and I hope you follow me on my journey to when I retire at 60. That's fantastic Ken, and really demonstrates how being consistent over an extended period of time can and will produce good results. I'm in the process of moving around some old 401k accounts as well, and am looking forward to the future results that will be achieved. Look forward to following along on your journey! Good job on the 2200 I love reading people’s monthly dividend report. Now that I had everything invested I thought it was a good time to share what a lifetime of saving could like.